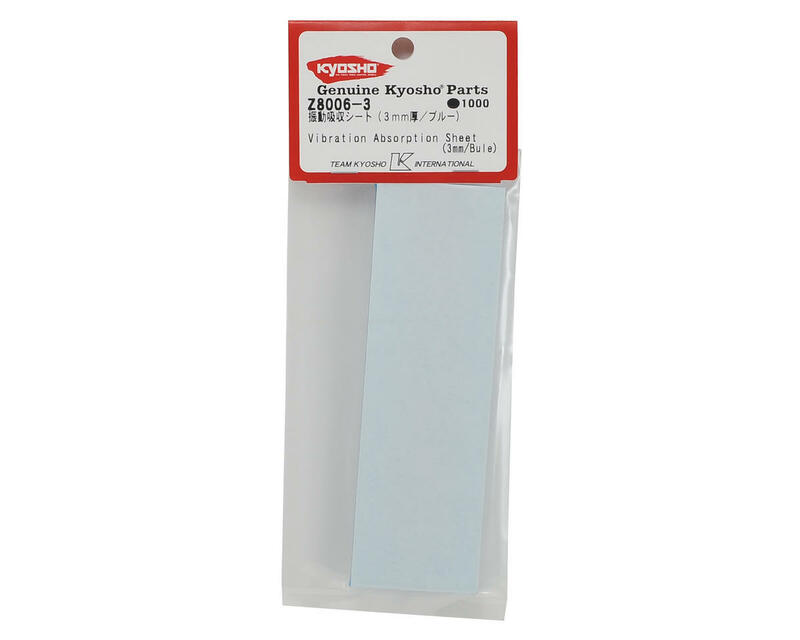 This is a 145x45mm strip of Kyosho Vibration Absorption Tape. 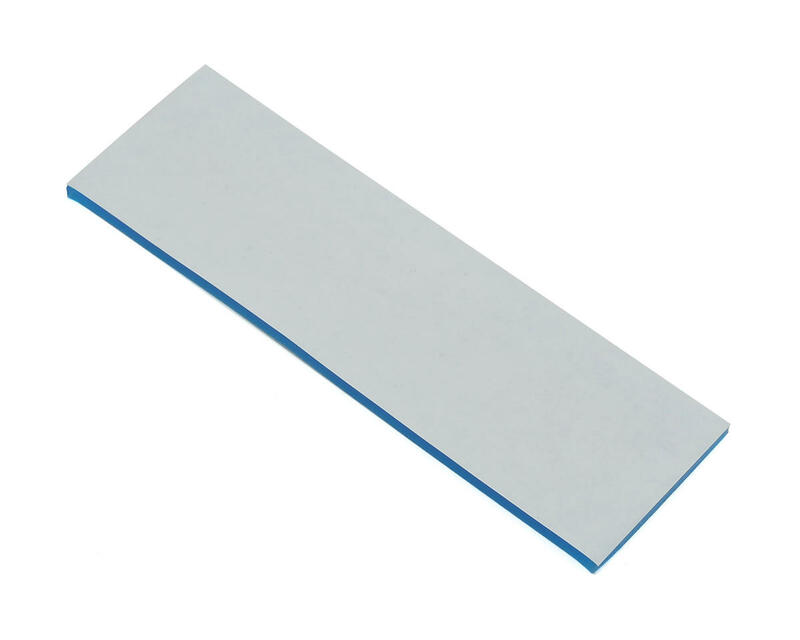 This tape is 3mm thick and features double sided vibration absorption tape. It provides damping characteristics when mounting electronics. The perfect mounting tape. 3mm is the right size for electric applications, providing solid hold with minimal wobble compared to the thicker Zeal tape. I use this tape on 4 different flybarless systems, ranging from 450 to 700 electric heli's. I don't use any strapping, just the tape to a well cleaned surface. Works perfect.